Valuable fresh light is shed on the Madoff scandal by the Becker news, but not in the dramatic ways some assume. This is no smoking gun proving SEC connivance in Madoff’s crime. Becker was not a career employee at the SEC – he had a spell from 1998 to May 2002 at the Agency after 20 years as a DC lawyer in private practice. SEC chief Mary Schapiro recruited him back in February 2009 after the scandal broke. Harry Markopolos began his heroic but futile attempt to expose Madoff at the Boston SEC office in May 2000 at the time that Becker was General Counsel in Washington. It is possible, but not really plausible, that word would have trickled up to him — poor Markopolos made so little progress during this period. For much of the sorry saga Becker was not at the SEC at all. Furthermore, while the inference from the lawsuit that the Becker account saw a $500,000 investment quadruple might seem startling, since in fact the account was established by Becker’s parents and probably was decades old, this is not in reality impressive. Madoff purported to be giving double-digit returns: $100 compounded at 10% for ten years becomes $259.37. On the evidence, it does not appear the Beckers were part of the privileged circle upon which Madoff lavished spectacular benefits—so rotten that the Picower estate agreed to forfeit $2.2 billion to the Feds and the Carl Shapiros $625 million. They appear to have been just another of the numerous unfortunates whose long standing relationship with Madoff and withdrawals put them unwittingly in the position of being “net winners”. unrestrained rage against someone deemed to have caused damage to a community member — quite regardless of the ethical facts. To my mind this utterly destroys the integrity of the report. How can you evaluate a massive investigative failure and not mention an intervention by a very prominent Senator during the last and biggest probe? 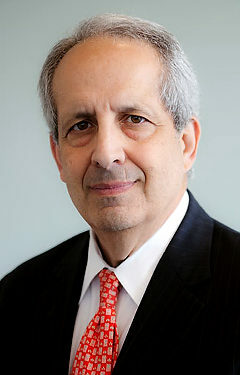 When Markopolos went (voluntarily) in March 2009 to brief the newly appointed chief of the SEC, Mary Schapiro, David Becker, the career Wall Street lawyer imported the previous month as SEC General Counsel, picked a quarrel over extraneous trivia and threw a tantrum so violent that Markopolos’ lawyer “thought that he was about to come right over that table and go for my throat” (Markopolos, 249). Consequently, the meeting was terminated. Amusingly, what Becker was ostensibly complaining about was that Markopolos was putting him in a conflict of interest situation. Obviously, he did not disclose he had benefitted from the Madoff fraud which Markopolos would certainly have reported. If indeed Becker did tell the SEC, the judgment of SEC chief Mary Schapiro looks highly questionable. Markopolos hints in his book (p. 248) that Schapiro is very influenced by personal links: perhaps this was an example of the “culture of cronyism” to which Congressman Ackerman refers in the article above. the Madoff scandal has the potential to illuminate the economic and political prerogatives usurped in late 20th-century America by what can only be described as the new ruling class. Here we have proof of two prominent Jewish public officials behaving deceitfully when dealing with the Madoff matter. Why Becker chose to put himself in this position is a matter for speculation. Perhaps it was the consequence of coming from a culture of dual standards – the propensity for self deception which Kevin MacDonald has identified. As new General Counsel, Schapiro has named Mark D. Cahn, who was brought into the SEC shortly after Becker. Schapiro, Becker, Kotz, Cahn…could there be a pattern here?